If ever there was a story written that reminded me of myself, this is it! I do believe I have found my fictional twin! Lover of books, genealogy, vintage clothing and accessories, tea, BBC and PBS. I am still waiting for the family reunion with Nora. Let me introduce her to you. Nora Bradford, genealogist, has known heartbreak. She buries her life in her job, which also includes maintaining a historical village. She has learned to protect her emotions the best she can and disappears into the fictional world of books and British TV shows. When John, a former Navy SEAL, comes to Nora needing assistance in finding his birth parents, he causes the kind of distraction she loves. However, as they get closer to finding out the truth behind his birth not only does she feel her heart opening up again, they also uncover family secrets neither of them were prepared for. 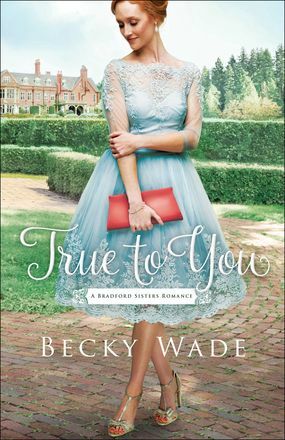 Becky Wade continues to be a favorite author of mine and this particular story is my #1 favorite of hers. As I mentioned already, Nora is basically my fictional twin. It was so easy for me to connect with her personality. Throw in family secrets and this was a definite winner for me. A five star book for sure!